Formatting the structure and style of documents, forms, business cards, menus and other printed materials to be easily read and understood is part of good print design. A client sends us an email with some text and information for a handout, a form or a book, and then says, “Make it pretty.” And, so we do. We logically format the information into an eye-pleasing document that can be professionally printed, or we give the client a .pdf file so that the document can be printed on their own printer at work or at home. It is usually cheapest to print in bulk with a professional printer. And, they have many more choices of paper that you can use for your project. If you just need a handful now and then, or if you have a document that needs updating with new information before you can use the old ones up, you may want to print it on your own printer at work or at home. The cost per item may be more, but at least you aren’t throwing away paid-for boxes of printed materials with outdated information. Let us help you decide which is the best route for you to go with your upcoming print project. Contact us now. Are you an aspiring author? We can help you format your book so that you can self-publish an E-book for the Nook, Kindle or other e-reader device. Perhaps you have a lot of information to share with your clients on your website. E-books are a great incentive to bring content-driven visitors to your website. And, the more visitors you have, the further up the search engine results your site rises. One-sided or two-sided, business cards and appointment cards are great takeaway items for your clients and customers. Now is a great time to think about updating the look of your invoices and other forms. Perhaps you have a survey that you need to send out, but it doesn’t look very nice. Send it to us. We’ll format the document to give it a professional look. In addition, forms designed for print can also be placed on a website as a .pdf form. That means your customer can download the form, fill it out and turn it in to you. This is a great way to have client intake forms on your website. 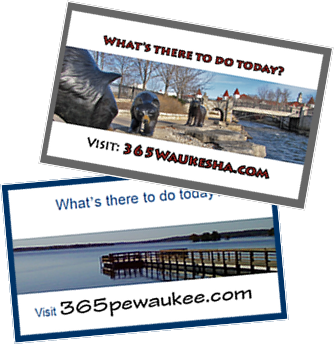 Tri-fold or bi-fold, post cards, and even door hangers. Brochures are great ways to highlight your products or services. We can design them so you can print them yourself with your own printer as you need them, or so you can send them to a professional printer for large quantity, machine-folded, glossy brochures. Too much information for a brochure? How about a catalog, or sale flyer highlighting your current specials? Logos are found on almost all things. They are used in print media, on TV, and on the Internet. They help us identify our food, our favorite TV channels, our cars, our doctor offices and even our schools. As you have heard, “a picture is worth a thousand words.” Put your business description into a logo and start building your brand recognition. Is it time to update your menu? Do you have weekly lunch specials? Catering packages? We can help you communicate with your patrons. Crisp, clean, fresh menus make a great impression to any restaurant visitor. Newsletters are a wonderful way to reach your clients and keep your business at the forefront of their thoughts. For a home builder, a newsletter containing home decorating ideas or real estate sales would offer insightful information to prospective clients, while keeping the home-builder’s name on top of the pile of information.